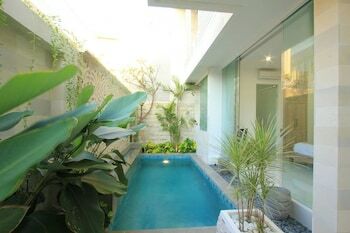 With a stay at Nikaya Villa in Legian (Dewi Sri), you'll be within a 10-minute drive of Legian Beach and Kuta Galeria Shopping Arcade. Featured amenities include dry cleaning/laundry services and a safe deposit box at the front desk. A roundtrip airport shuttle is provided for a surcharge (available on request), and free self parking is available onsite. Located in Batam, Airy Nagoya Dian Centre Baloi Batam is within a 10-minute drive of BCS Mall and Harbor Bay Ferry Terminal.